Today’s BoardPusher.com Featured Deck comes from Mario Brown’s skate brand, N8UR UNLIMITED. The appropriation of the Russian alphabet usually lends itself to a cool looking graphic. 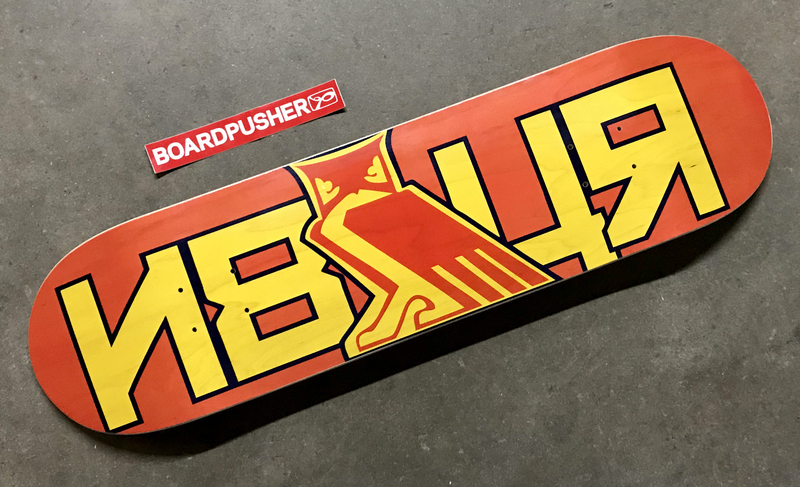 You can follow Mario on Instagram @n8ur and pick up a N8UR UNLIMITED board at BoardPusher.com/shop/N8URUNLIMITED. You can start your own skate company by designing custom skateboard decks at BoardPusher.com.